The most beautiful and a must see city is vibrant and known for its urban culture. Bangkok is the capital of Thailand and a buzzing cosmopolitan area full of high-rise buildings, magnificent palaces, ancient temples, glittering nightclubs, bustling markets and streets that are lined with vendors hawking souvenirs and tantalizing foods. For shoppers, Khao San Road is a good place to enjoy shopping, dining and nightlife. 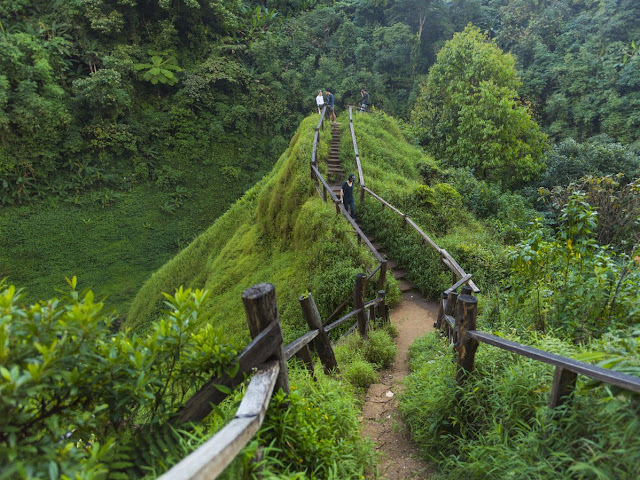 You tour to Thailand is counted as incomplete without exploring Chiang Rai. 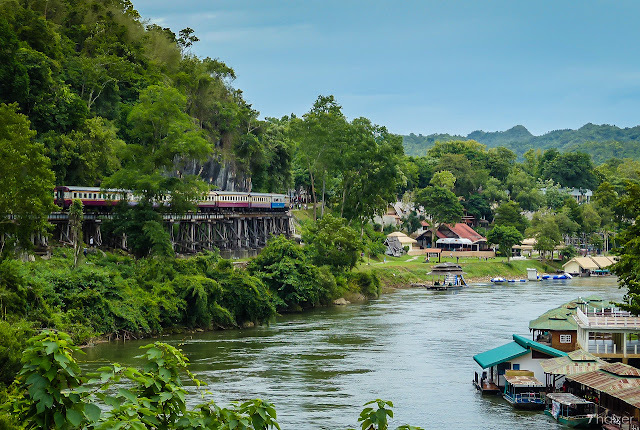 It is known for serving as the main commercial hub of the Golden Triangle – containing the borders of Thailand, Loas and Myanmar. It is a uses as a base for exploring the surrounding regions. The town itself is quite during the day; while night becomes special with neon lights on the souvenir stalls and restaurants spring into action. 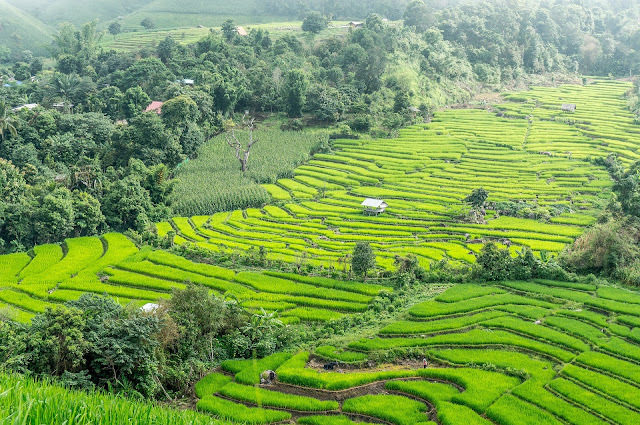 Pai is a beautiful and quiet village in northern Thailand that is the part of Mae Hong Son Loop – stretching between Chiang Mai and Mae Hong Son. Pai is famous for its picturesque valley and relaxed atmosphere. It is a place ideal for backpackers and those who wish to explore the region in their own way. Trekking and hill tribal tours are also better options in the foothills of the mountain. Elephant camps, hot springs and beautiful waterfalls, etc are some other options outside the city. 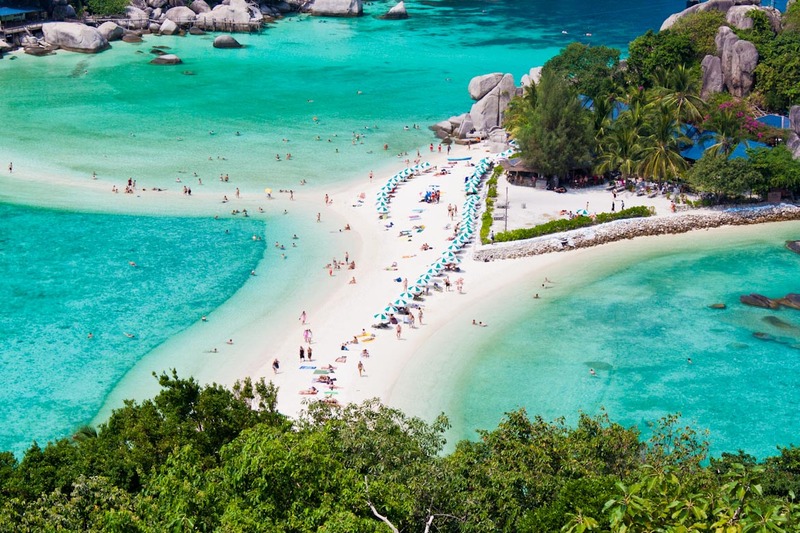 Islands off the coast of Thailand are famous throughout the world for their beautiful beaches, others of their gorgeous scenery and some even claim their fame for the party atmosphere. There are three main sets of Islands in Thailand – east of Bangkok – there are Ko Samet and Ko Chang and in the Gulf Ko Samui – lies Ko Pha Ngan and Ko Tao. It is one of the most beautiful wildlife reserves in Thailand that covers jungle forests, limestone karsts, rivers and lakes in the Surat Thani province of Southern Thailand. 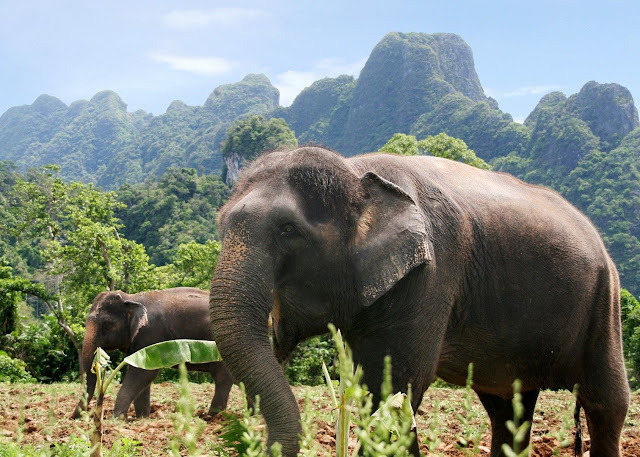 It is home to some of the most amazing wildlife in Thailand where you will see Asian elephants, barking deer, wild boar, bears, Malayan Tapirs and various monkey breeds. 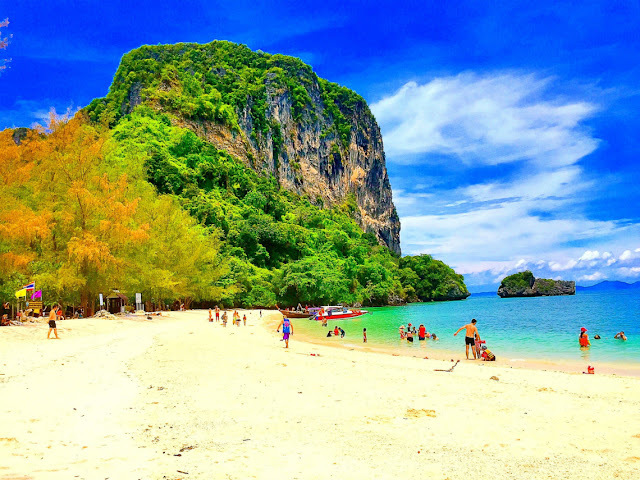 Don’t miss to explore Railay at the time of enjoying holidays in Thailand with family. A small peninsula that is only accessible by boat due to high limestone cliffs cutting off mainland access, Railay is known for its beautiful beaches and quiet relaxing atmosphere. You will see bungalow resorts and developments creeping up into the forest behind. Located on the Chao Phraya River Valley in Thailand, Ayuthaya sits on the island surrounded by three rivers connecting it to the Gulf of Siam. 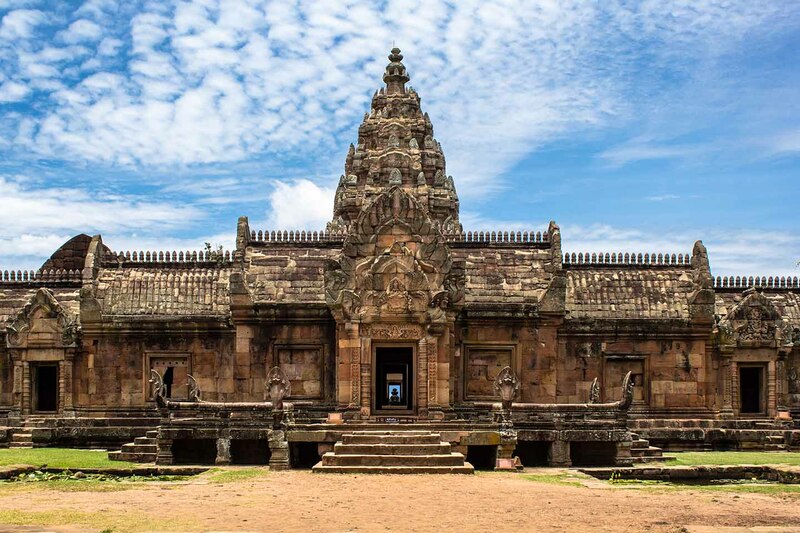 It was an impressive site with three palaces, more than 400 temples and a population that reached nearly 1000000. 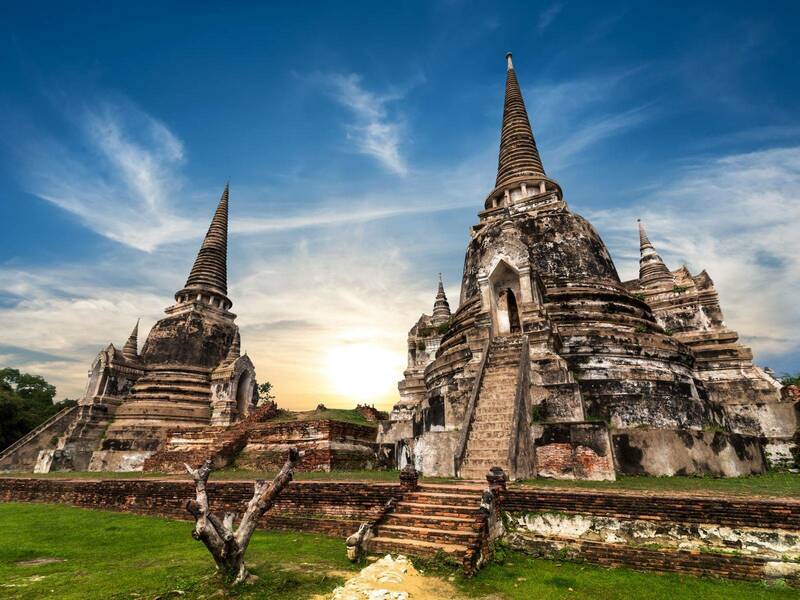 However, it became ruin after Burmese attacked and conquered Ayuthaya. 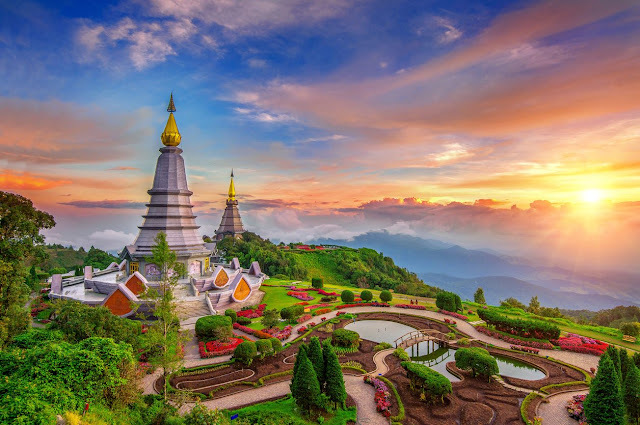 Chiang Mai is surrounded by the mountains of northern Thailand – a flourishing city used as a base to explore lush landscapes, hill tribes and outdoor adventures of the region. 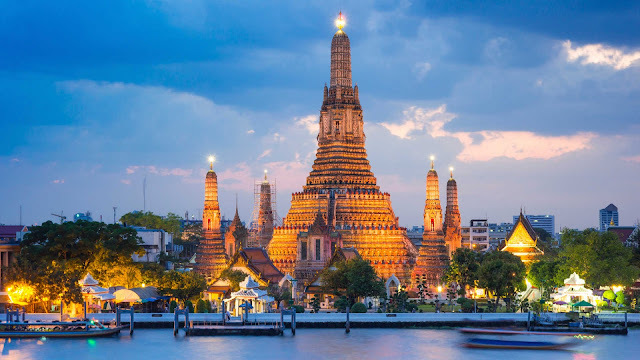 It is a large and culturally important city presenting historical and modern Thai Architecture and traditions coexist. Kanchanaburi, located in western Thailand and admired for its beautiful scenery as well as accessibility to national parks and waterfalls, is best known for the Bridge over the River Kwai – linked with the historic Death Railway to Burma, in which thousands of Asian Laborers and POWS died during its construction under Japanese during WWII. It is an attraction in itself where locals seem to ignore all the fuss and photographers continues on as usual. You can purchase farm-fresh fruits, vegetables, flowers and various other things in shops that are on the boat and floating. They are also selling steamed and cooked food too. It is a border area of Thailand, Myanmar and Loas where you can reach within a 45 minutes from Chiang Rai. These three countries are divided by the Mekong River. It is a must see area to keep you spell bound. Being a wonderful Hindu Shrine and a complex, Phanom Rung is on the extinct volcano in northeastern Thailand that is famous for its outstanding architecture. 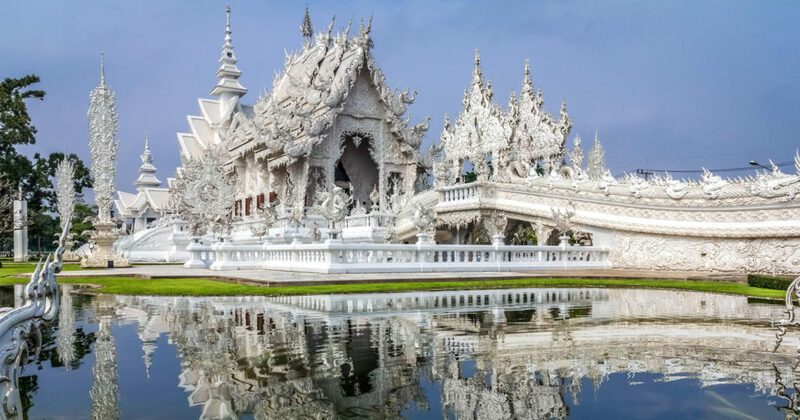 Located near the village of Nang Rong, this temple sanctuary is sure to keep you busy and surprised for the time to come. The wonderful hippie hangout gone up market is a place to see during your holidays in Thailand. It is full of natural beauty and entertainment options. For those whose family members love to enjoy adventure tours, Ko Tao is the place to explore. 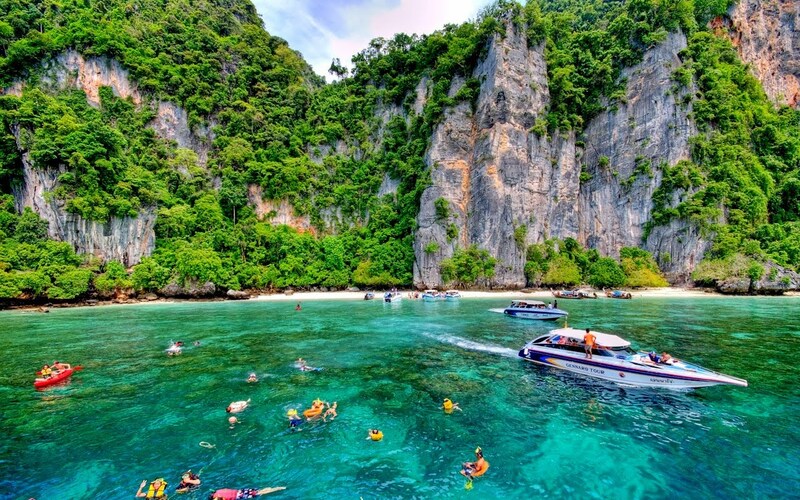 It is known for its diving and nature; while it is easily reachable from Chumphon by high speed catamaran. The wonderful and ideal sight is the gateway to the Similan Islands. However, it was hard hit by Tsunami in 2004. But, it has recovered again and known for its natural beauty and amazing attractions. 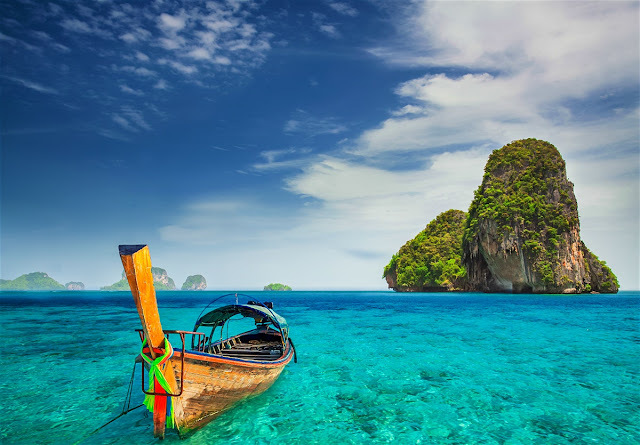 In fact, the place has an image of vibrant nightlife hub, but it is also known for having some of the best beaches of Thailand where you will see something that will surely help you in exploring something real in Thailand. Being the beach and water sports hub, Krabi Province in the south is famous for its amazing beaches and natural beauty. It is also a home to Ao Nang, Rai Leh, Ko Phi Phi and Ko Lanta. Mae Sariang is a place to explore with family in Thailand. It is a small town and famous for lifestyle enjoyed by people here. Located at Thai Burmese Border, it is famous for trekking and Salween National Park. It is famous for its silk and dinosaur sites where you will see natural beauty in its best form. It is a place full of serenity and cook environment. 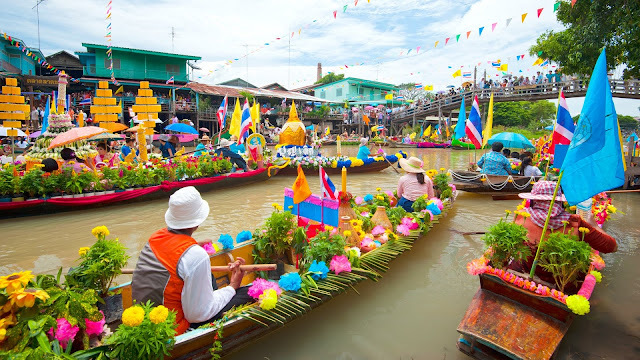 Don’t miss to explore this wonderful destination during your family trip to Thailand. Some of the main attractions that you will see here include Tarutao, Ko Lipe, Ko Tarutao, Mo Lae Bay, Ao Son Bay, Ko Kai and different others. You can explore Thailand throughout the year. However, the best time to visit this wonderful destination is from November to April. It is cool and dry season. Now, you can make an advance booking of Thailand holiday packages without going anywhere. Smart Holiday Shop has been offering you attractive and affordable packages that will surely go well your budget and fulfill your requirement. Nice post! Thank you for sharing these top 20 places to visit in Thailand. Your post will help me on my tour with Bangkok Pattaya packages.